UPDATE: It seems only fair to admit that a month after writing this review, and I’m finding myself reaching for this one daily… perhaps it’s just the colour of the tube rendering me blind to all others in the drawer, or maybe it’s just a bit more awesome than I initially gave it credit for. Regardless, I thought I’d better revisit this to let any new visitors know that I think I underestimated it a little in my initial review. It’s a good’un and definitely up there with my other favs! So, I’d been meaning to try “The Ugly” one for ages, but having 4000 mascaras languishing in my make up collection meant that I had to at least try to be a good girl and not keep buying them until I’d used up a few tubes. However, I got one of these in my Maybelline goody bag and of course I couldn’t resist trying it out to add to my mascara series. Alright, it’s not THAT bad – but come on, Maybelline do seem to employ an army of Jekyll and Hydes in their packaging design department do they not? It’s interesting to note that the well packaged products are the newer ones, so perhaps things are looking up! Creates 9X the volume, instantly. So basically, it’s got a big brush and it’s volumising… oh and um “washable” whatever that’s supposed to mean? It’s not bad. I’m using the Glam Black (00) version and the formula is nice and dark, I agree that it doesn’t clump on my lashes but it’s just not THAT volumising. It creates decent definition and if anything is more lengthening thanks to that nice deep-coloured formula. It’s a really nice day-to-day mascara… But I want MORE, MORE VOLUMISING, MORE LASHES!! 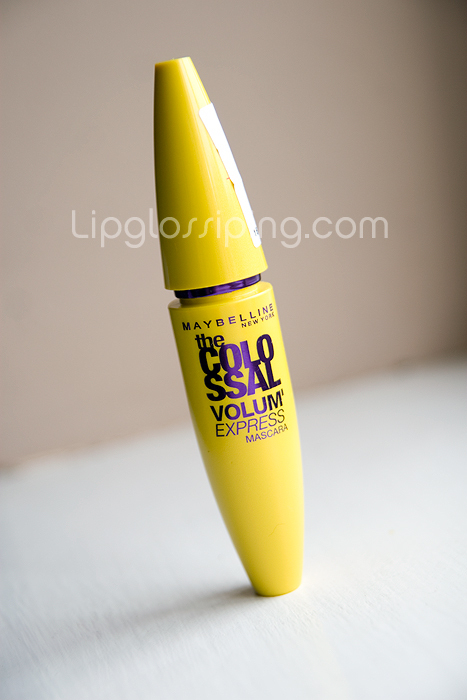 This is another solid release from Maybelline, and a great choice for those who like big-boned brushed mascaras – just don’t expect anything too COLOSSAL from it. I think our lashes are mascara enemies. Mine LOVE the Colossal but hate Benefit’s Badgal. I like the packaging for the mascara because it’s easy to find and this size brush is teh love! Ha ha – you’re right. Some of Maybelline’s stuff are kinda ugly 😀 I tried this on once and it smelled! Also, it didn’t volumize enough… I was hoping for a false lash effect. Eh well. I have never tried this mascara and I think it may be due to the tacky packaging! By the way, what camera do you use? Ity has amzing quality. @ndoodles – thanks for commenting! It’s a weird schizophrenic thing they have going on isn’t it?! And that’s what I want… false lash effect. Love this post!! Some of the stuff is so awfully packaged, the blushers and eyeshadows for one. The Great Lash packaging just reminds me of being a kid! I’m usign Collosal now, did a quick review the other day on it, I think it is pretty good but I need to apply quite a bit for it to look good IYSWIM? Whereas with Bag Gal I can just put two/three coats and I’m good to go, rather than sitting down for five mins applying it furiously!!! @Rhamnousia – Consider me trying to pick one up on Saturday. If I can’t … yes please! This is a useful review, as i’ve heard nice stuff about that mascara but hadn’t seen any before and after pics. 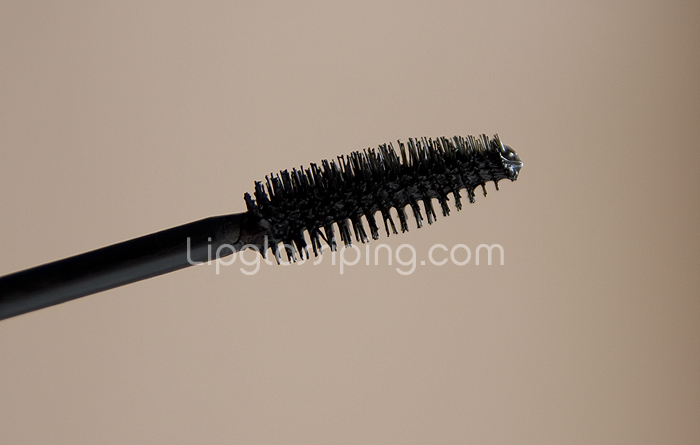 If you do find the BEST MASCARA EVER please please tell us about it, i’m always looking for a ridiculouslu volumising mascara- i want lashes so fat they’re indecent! !